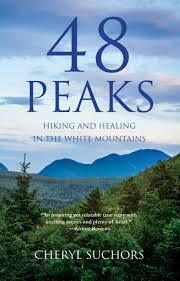 Cheryl Suchors, author of 48 Peaks - Hiking and Healing in the White Mountains (SheWrites). Tovar Cerulli's website bio describes him as having had an "outdoorsy" boyhood. This week's Write The Book Prompt is to write about an outdoorsy experience. National Book Critics Circle Award winner and author of “the most accomplished book of essays anyone has written or published so far in the twenty-first century” (Salon), Eula Biss, whose book On Immunity: An Inoculation has come out in paperback (Graywolf Press). Write a scene or moment from a “bright spot” in your memory. It isn’t necessary to understand why you’re writing about it; you don’t have to know why it’s important or why you remember it, but write from this bright spot: this moment that rises quickly and easily to the surface. Then read over what you’ve written--a paragraph or a page, whatever you have written. Then, without looking it over again, write it again using a different tense. Eula has noticed that different verb tenses will draw out different material. Often she will compose in the present tense, because it draws out richer detail, and then--if it makes the most sense--revise into another tense, like the past, later. Vermont author Stephen P. Kiernan whose new novel is The Hummingbird, published by William Morrow. So let’s say we wanted to put some pressure on that paragraph, above. What if we were to rewrite it, putting some pressure on the language, making it leaner, and getting that last word, “widow,” onto the previous line? I’m going to have a go. There! I took it from 13 lines to 10, and did remove that widow, which was, ironically, the word “widow.” Now you try it with your own prose. Good luck with this prompt, and please listen next week for another. 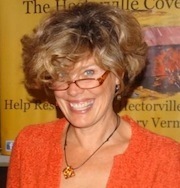 Gary Lee Miller interviews Yvonne Daley, Director of the Green Mountain Writers' Conference and author of five nonfiction books, including The Bend In The Road: Lenny Burke's Farm, published by Northshire. This week's Write the Book Prompt was generously offered by Yvonne Daley. These are lines from people’s Instagram profiles. Use one or more as inspiration for a fictional piece with the line being the online dating or Instagram profile of your character. Alternatively, if you are writing nonfiction, what would someone in your piece write for their one-line description of him or herself. If you’re a poet, play with one or more of these self-descriptions in an ironic or wry manner as a way of commenting on contemporary communication. Author Carolyn Conger, PhD, whose new book is Through The Dark Forest: Transforming Your Life in the Face of Death, published by Plume. This week’s Write The Book Prompt is one of many exercises that appear in my guest, Carolyn Conger’s book: Through The Dark Forest. She has generously agreed to let me include it here. This exercise is called Expansion, Contraction, or Balance? The questions in the exercise are designed to speak most directly to people who might be facing death more imminently, but you can adjust them to your own situation. Ultimately, of course, we can all benefit from considering what the end of our lives will look like, and living a full life for as long as we can. This exercise is meant to initiate a meaningful inquiry into being present. Take out your journal and write about how you are experiencing the rhythms of your life. Address these questions and add whatever comes to mind about keeping your life big. Accept what you discover without judgment. Is there anywhere in my life I’m hiding, giving up, or disappearing into my illness? When do I feel most alive, most fully myself? Are there areas of my life where I want to be more present? Are there times in my life--perhaps during medical procedures--when it’s appropriate not to be aware and present? Do I feel a balance in the amount of time I’m in expansive states, neutral states, and contractive states? What do I feel about the idea of being present for my own death? There are no correct answers to these questions. You are exploring your rhythms of awareness in your life now, and noticing how, when and where you are present. You have the right to make these choices, and it’s healthier to make conscious choices about what you are doing, rather than falling into automatic behavior. in the Face of Death, by Carolyn Conger, published by Plume. Robert and Martha Manning, Vermont authors of Walking Distance: Extraordinary Hikes for Ordinary People, published by Oregon State University Press. Today's Write The Book Prompt, of course, involves walking. On a piece of paper, write down a problem you've been having in your written work. You might write something very general, like setting. Or you might write something more detailed, like, Why is Melody so afraid of dogs? You might write a few lines from a poem, and then add "structure," or "line breaks," if the poem's structure has been giving you a hard time. Fold up the piece of paper and put it in your pocket. Then go for a walk. While walking, look around, enjoy the day, enjoy the beauty of the environment. Do not re-read the words while you're out. Don't focus on the problem, but let it sit in your pocket, a quiet presence that needs resolution. Then go back to your desk, right away when you get home, and start to write. Music credits: 1) "Dreaming 1″ - John Fink; 2) "Filter" - Dorset Greens (a former Vermont band featuring several South Burlington High School graduates). Local Writer and Tai Chi Teacher Bob Boyd, author of Snake Style Tai Chi Chuan: The Hidden System of the Yang Family. This week's Write The Book Prompt is some basic, helpful advice suggested by my guest, Bob Boyd: Sit down and just start putting words on paper. The process evolves. If you don't get started, Bob says, you'll never get finished. He adds that being prone sometimes helps him come up with ideas. Though if you write in your job, as he did at Burch & Co., lying down at the office can create difficulties. Bob acknowledges that everyone's different. Lying down might help some people. For others, a walk might be the relaxing activity that gets the ideas flowing. Figure out what works for you. Then, as soon as you have an idea, even if it's in the middle of the night, put something on paper. You can always get back to it later. But preserve the idea so it's waiting for you. Good luck with this prompt and tune in next week for another! Award-winning writer Glen Finland, author of Next Stop: A Memoir of Family, published by AmyEinhornBooks/Putnam. The book is a Summer 2012 Barnes & Noble Discover Great New Writers Pick. Today's Write The Book Prompt was suggested by my guest, Glen Finland. Describe the precise moment at a time in your life when you realized you had to let go of someone or something. And what gave you the courage to do it?